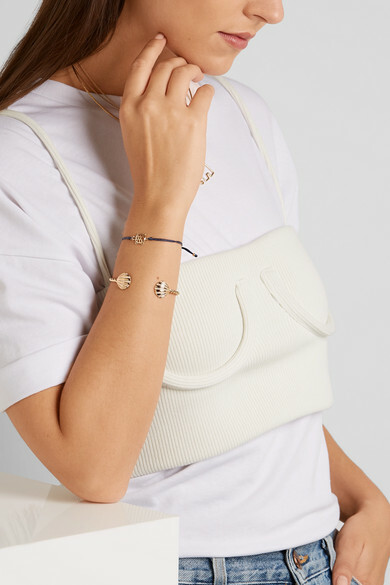 Parisian designer Yvonne Léon finds inspiration from vintage jewelry markets, antique shops and, interestingly, bestiaries - her collections are known for their animals and nature themes. 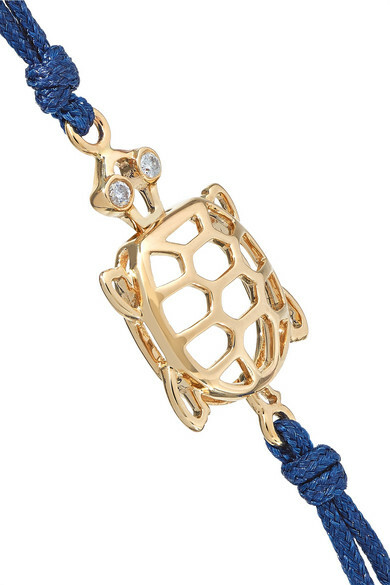 This 9-karat gold turtle charm is dotted with ditsy gray diamonds for eyes. 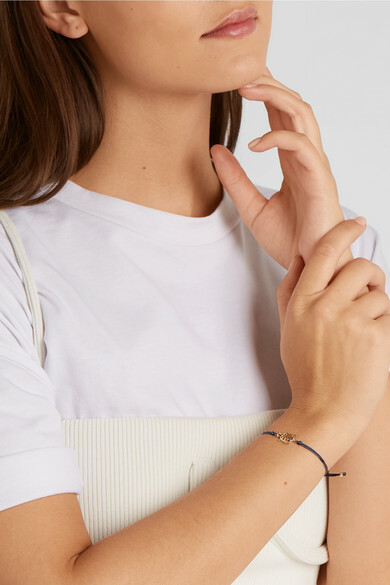 It's strung on a lustrous navy silk cord that would look chic against a red manicure. Shown here with: Ninety Percent T-shirt, Orseund Iris Tank, Goldsign Jeans, REJINA PYO Trench coat, Yvonne Léon Bracelet, Yvonne Léon Necklace, Yvonne Léon Earring, Yvonne Léon Necklace, Yvonne Léon Necklace.